Upon arrival at Yangon International Airport welcome by our Local English Speaking Guide and transfer to your Hotel. Sightseeing starts with Chauk Htat Gyi huge reclining Buddha, Bothahtaung Pagoda which situated near Yangon River, Yangon Colonial Quarter, Animated Bogyoke Market (also called Scott Market) and Amazing Shwe Dagon Pagoda (also called landmark of Yangon and Golden Stupa) for the Sunset. Drive back to the Hotel and free time at your leisure. Overnight in Yangon. Drive to Golden Rock (Kyaikhtiyo), 160 km down south of Yangon. On the way, visit Htaukyant War Memorial Cemetry and ancient city of Bago including local market, Shwe Thar Lyaung Reclining Bouddha, Kyakhetwine Monastery, and Kyaikpun Pagoda. Join to Kimpun based camp to climb up to the top of Golden Rock. 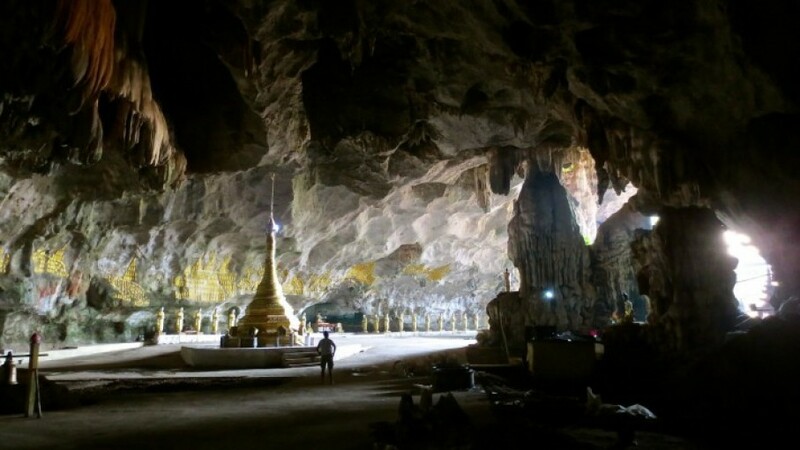 Upon arrival at base camp, leave your private car and proceed to the top of Golden Rock by special open truck, about an hour’s mountain drive. 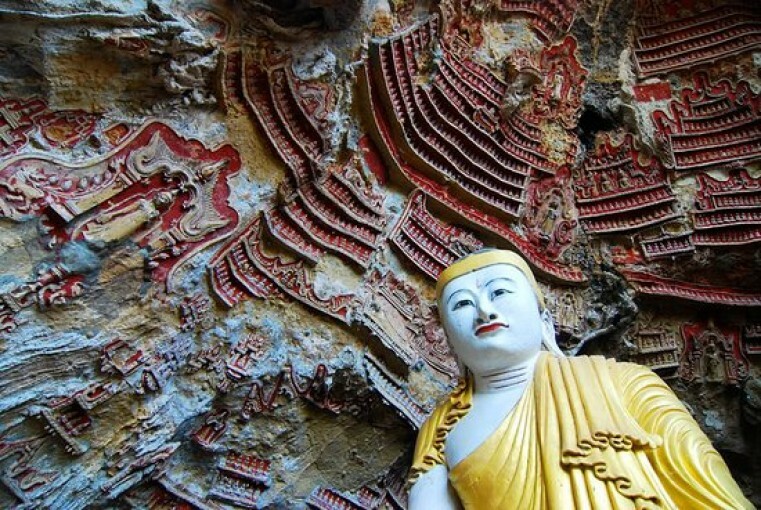 Visit Golden Rock ‘’a small stupa’’ sits on top of a massive rock which is completely covered with gold leaf and delicately balanced on the edge of the cliff (unique position in Myanmar). At summit, enjoy sunset on hilltop and watch the evening activities at the shrine of the local pilgrimages before descent trek to your Hotel for overnight. Overnight in Golden Rock (Kyaikhtiyo). Drive down to the base camp and drive to Moulmein. You will arrive Moulmein at the end of morning. 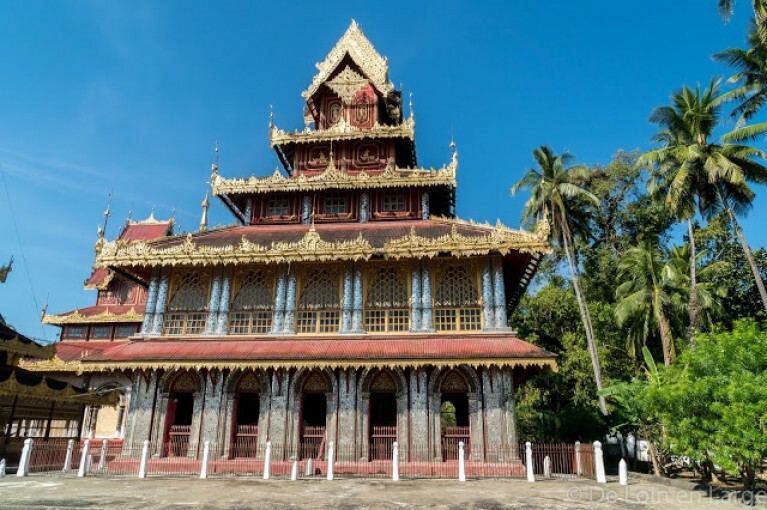 Check-in at the Hotel and visit of Moulmein including St Mathews and the holy Family Cathedral, Sein Done Monastery, Pagoda Hills, and enjoy sunset at Kyaikthanlan Pagoda. Overnight in Moulmein. Visit Central Market of Moulmein and drive to Mudon (south of Moulmein). 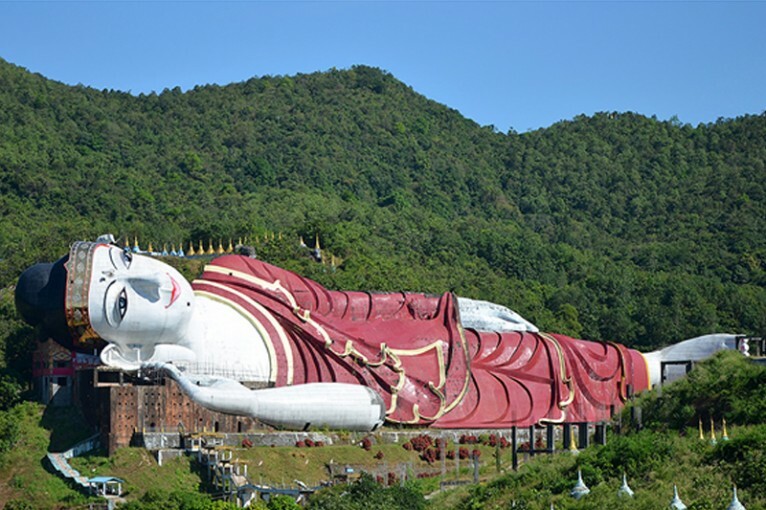 On the way, visit Win Sein Taw Ya (World Largest Reclining Buddha Image). Visit in Mudon including traditional weaving work shop in the morning. Then join to Set Sè Beach for relaxing in the afternoon. Return back to Moulmein at the end of afternoon. Overnight in Moulmein. Transfer to Jetty for Moulmein-Hpa An trip on the Thanlwin River. On the way, visit U Na Auk Village and you may enjoy beautiful scenery. Trip duration will be 3-4 hours and will arrive Hpa An at the beginning of Afternoon. Check-in at the Hotel. After refreshment, visit Hpa An including Bayintnyi Cave where many Buddha Images, gilded on the wall of the Lime Stone caves as well as famous with its natural hot and cold spring lake and enjoy sunset at Shwe Yin Myaw Pagoda in Hpa An. Back to the Hotel and free time at your leisure. Overnight in Hpa An. 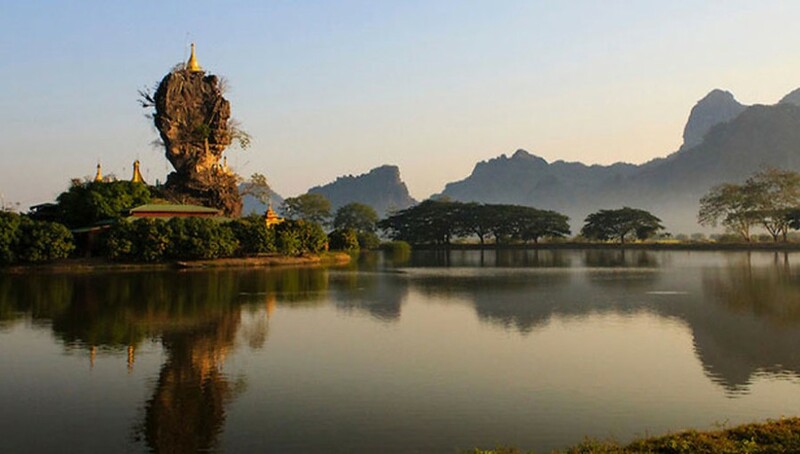 Visit Hpa An and around including Lumbini Garden which situated at based of Zwegabin Mountain, Kawkun Cave where you can discover the best mural paintings on the cave of the wall, Eindu village, Saddan Cave where you can enjoy boat riding in the stream, Kaw Kathaung Cave and enjoy sunset at Kyaukalap Pagoda. Back to the Hotel and free time at your leisure. Ov ernight in Hpa An. Enjoy local market in Hpa Aa and depart from Hpa An to return back to Yangon. On the way back, you may stop as your wishes to enjoy taking photos. Join to Airport for your international departure. You can also enjoy shopping for souvenirs if you may have time before your departure. All prices are quoted net in USD per person and valid as stated. The prices quoted are based on the current contracted rate of local suppliers and if price changes become necessary, prior notice will be given. If your trip is during Christmas-New Year period, there may some extra charge for compulsory Christmas Eve Diner and New Year Eve Diner. If your trip is during Thingyan Holiday (Myanmar New Year Festival from 13 to 17 April in each year), the price may increase as transportation charge is in double during that period. In that case, you may contact with Sonic Star Travel by phone/ viber or mail.